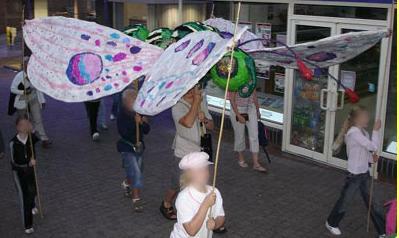 In the Summer of 2006, Ballyhoo Arts worked for two weeks with young people attending Summer playschemes in Basingstoke. 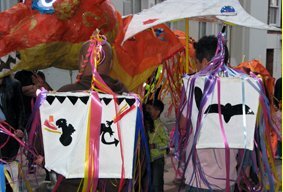 Inspired by the theme of 'Up in the Sky' we made processional hot air balloons, birds, aeroplanes and kites, as well as a beautiful butterfly. 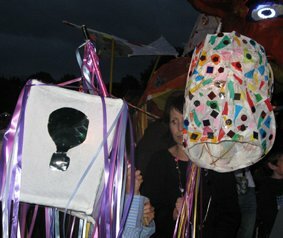 The objects made in this project were processed to great effect at the 'Balloons over Basingstoke' event in August . 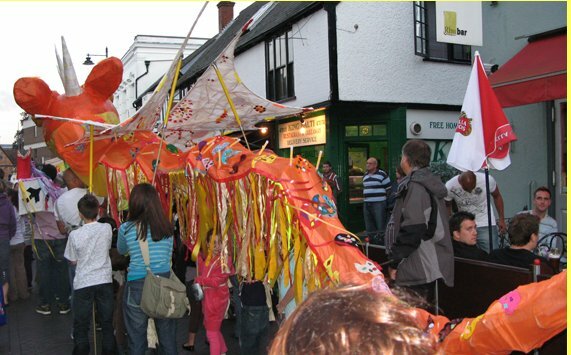 The 2006/7 projects were organised and funded by Basingstoke & Deane Borough Council. 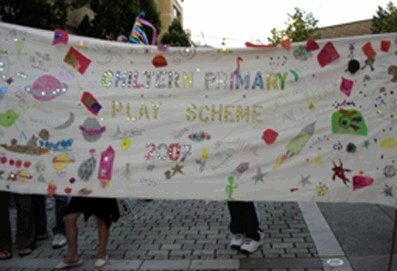 In the Summer of 2007 Ballyhoo Arts were again invited to work with children attending playschemes in Basingstoke. 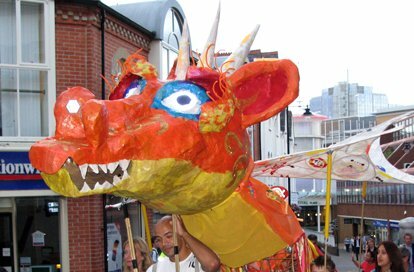 Over two weeks, we worked with four different playschemes, to create an exciting procession, for the 'Balloons over Basingstoke' festival in August. 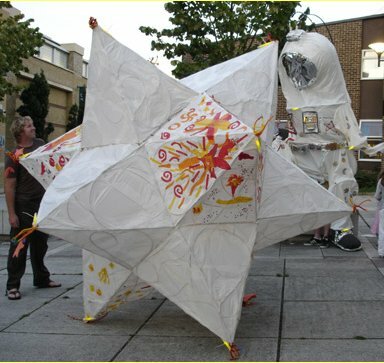 We made a giant astronaut, a giant star, planet mobiles and puppet arches. 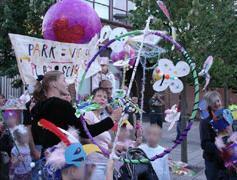 All the children made and carried a planet or star wand. Everything was lit up and looked great as darkness fell. 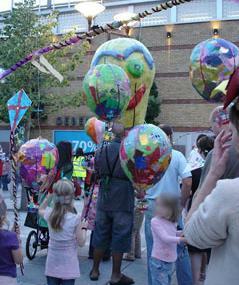 The 2008 'Balloons Over Basingstoke' Procession was organised and funded by 'The Making' , based in Basingstoke. 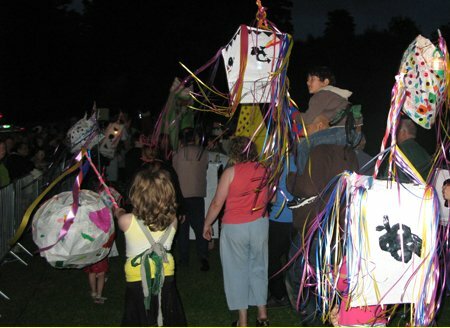 Ballyhoo Arts worked with two playschemes over one week to make a processional Dragon and decorated lanterns to be paraded at the 'Balloons Over Basingstoke' event in August.